Next session will be the last one! and I’d like to see what else (or more to add to previous topics) you’d like to learn to conclude our training. Please go ahead and comment your thoughts/requests in the slide (page 2) or class stream! NAT8 12/12/18 10am- C2609D HiC, Methyl-seq, DMR analysis, machine learning, (Metagenome 16S, shotgun WGS) anything else? (1) for those that have used 3’mRNAseq (aka Quantseq, or $100 RNAseq 🙂 technologies (like Irina), the vendor (bluebee) provides free analysis platform that runs by GUI. They happened to be running a webinar on it, so I’d encourage the existing or future 3’mRNAseq users to take this. (2) I plan to run similar hands-on using the 3’mRNAseq and the bluebee’s GUI platform in Pharmacology seminar on 18th (Thursday, from 4pm) so you are welcome to attend this one too! (3) Research Core will be running a first annual symposium this Wednesday (Oct. 10) 9am – 3pm at UCC. Free food! and 4 lightning talks from my users including Steve Hicks and Lucian Moldovan! Thank you for voting for the sessions 1 and 2! To fit most of the participants’ schedules, I would run 2 alternative timings for each of session 1 and 2! Namely… session 1 to be run on 9/11 (Tue) 10-1130 and on 9/12 (Wed) 10-1145, and then session 2 on 9/18 (Tue) 1-3 at and 9/20 (Thu) 10-12. Please try to attend one each and we will be good to go in terms of setting up accounts and running introductory command-line practices. 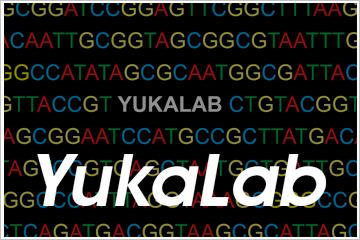 More details to be found from the Google Classroom for those signed up there already or to be emailed directly to Yuka. Thank you! Doodle poll for 1st session: Thanks a lot for taking the survey! Regarding the timing, I’m finding Wednesdays and mornings are most popular, however, since the 1st session is the most important to get you set up at our analysis server, I’d like to take your vote again and see which date/time would most fit your schedule. I’m thinking to throw the 1st session in the week of 9/10. Thank you! I will be again offering sessions on data analysis for nextgen sequencing (aka NAT_3rd: NGS Analysis Training 3rd season). The group will be gathering every 2 weeks starting from September for a total 8 times of hands on tutorial sessions which will run ~2 hrs and the participants will be given a homework after each session. A certificate will be given to whom complete the minimum number (to be determined) of homework! If interested, please let me know by email yimamura@pennstatehealth.psu.edu. Please also take the below survey so that I can better plan for the programs.